I apologize if this has been pointed out already in another thread, I feel the pineal gland has been discussed much elsewhere on the forum. 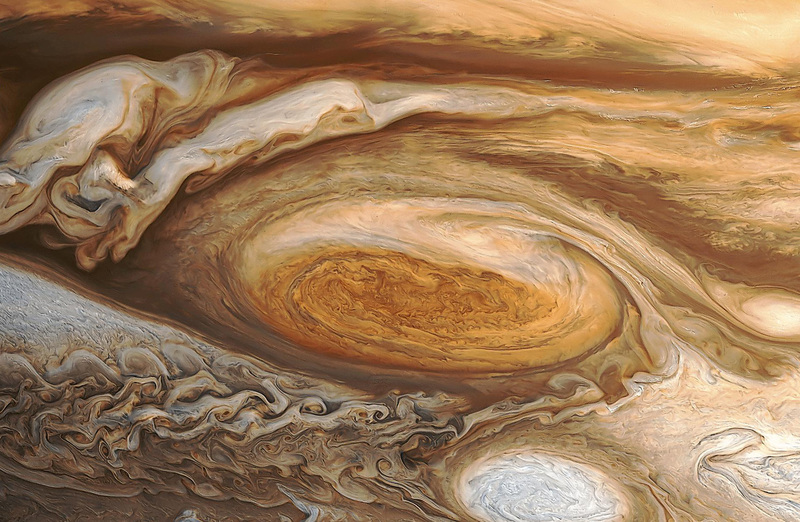 i'm not saying anything that resembles the pineal gland absolutely must relate to it/have a connection with it (cause that'd be silly, like saying a spiral of ketchup has a deep spiritual meaning and etc), however i do have distinct lucid dreams and or memories that i feel are connected with the planet jupiter. It was a huge place with huge environments and large creatures that were of dinosaur height, and many waterfalls. do you believe the other planets were once inhabited? our birth months all correlate to another planet of our solar system. i never really understood why, but perhaps someone who understands those things would like to discuss? where did our neighbors go, if we had any? How is it that you cannot think that the other planets in our solar system do not have life forms at present? Is it because of the leaders that tell you things and expect you to accept their statements without question? What if those leaders knowingly lie to you to stop your own exploration and make you look in an opposite way than what is actually happening to strengthen their control over you. What if they wanted you to look outward instead of looking inward to find the real universe? Would your lack of knowing suddenly shut you down in your advancement? If those planets are inhabited by beings of a higher or lower form that are vibrating differently than you are, does that mean they do not exist because you are not aware of them? Do not think that beings have to have arms and legs and bodies like you do in order to exist. The entire universe is energy of different levels with each one alive with vibrations that only become identifiable to those that vibrate within the same range. So what if you left your physical body and visited that other location and you changed your vibration so it might fit what is vibrating there at the time? Now, reverse that thought and see how that being from that location might do the same and visit our location. If God or the Source energy is in everything and holding it all together, how many levels of God are there? If we are go back to the source, how many levels of source are there? Only you can answer those questions. No one else can. For example, astral travel to the interior of the Sun and see what one finds there? i know of different beings energies and endless possibilities one can experience on different vibrations... simply asking if anyone would like to share their thoughts and experiences. funny thing, tried to project last night but i have strep throat and must've been too tired to concentrate/separate, but i did see a lot of beautiful gold and rainbow colored shapes ever changing while hearing a loud ringing noise(like a binaural beat almost) in the process hah. But my experience on jupiter was just magickal. i was ontop of a tree/rock/upsidown mushroom looking thing that had pools of water leaking down forming tiny waterfalls, and the skies were so clear. it was just beautiful. i'm not an advanced astral traveler; i usually find myself travelling not on purpose but once i fall asleep i realize i'm travelling or can get out of a lucid dream and decide where to go. i've only purposely induced astral travel only a few times i want to say.